How long did it take to build the pyramids of Giza? 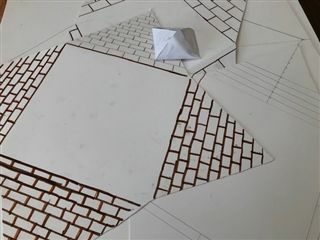 One week—that is, at .0003 scale with cardstock, glue, and sand—for 6th graders at Friends Community School. Watch here! 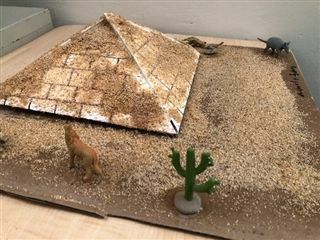 Working in pairs, students built the models as a hands-on lesson during their social studies unit on Egypt, incorporating skills from art, science, and math to bring the pyramids to life. 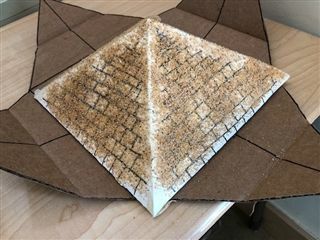 A supplemental research essay explained the engineering or history of the pyramid they selected. The experience introduces architectural concepts that will continue to be explored throughout 6th grade. In the second semester, the FCS 6th graders will study green architecture, take a trip to Frank Lloyd Wright’s Falling Water, and design and build model “tiny houses” as year-end projects. With the projects complete, today the 6th grade held an open gallery to share and appreciate their handiwork, as is the custom at FCS.